ANGELSVOICE. Bracelet silver 925 rhodium, bicolored with white zirconias. Rose gold plated flower of life with "Angel of richness". Snap link. 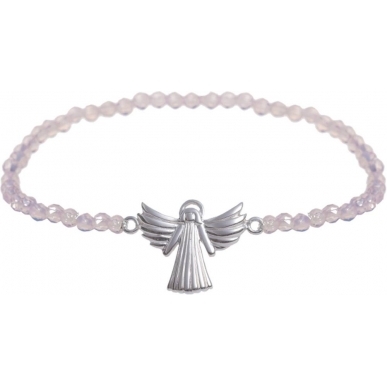 The Angel of richness brings you richness and abundance in your spiritual and physical life.